Lots of road bikes are on clearance. Score a killer deal on a road bike now and be ready for the spring. We are not the biggest, fanciest or have the best location, but we try to be the best by starting with the rider - it's all about you and helping you ride. Treating riders like we want to be treated, awesome service, deep community involvement and great pricing have helped us be selected as one of "America's Best Bike Shops". Thanks for your patience during the parking lot construction. We're still open and worth forging the dust! 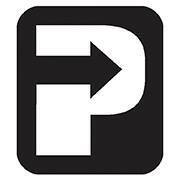 Along with Black Dog Suspension, we are now partnered with PUSH Industries. This new partnership will allow us to offer riders the widest assortment of premium suspension upgrades as well as the top notch PUSH branded suspension components! BLOOMFIELD SPRING CLASSIC ROAD REGISTRATION NOW OPEN! Registration for the area's premier spring road race is now open. Click here to see all the details. All proceeds go to Lab Lovers Rescue. Ride your bike and save a dog! We've been working on Chris King and other premium wheels and hubs and since we started. We've got all the tools and experience to make sure your angry wasps keep sounding mean. Regular service can keep these amazing hubs running for years and years ! ©2014 Tryon Bike, LLC. All Rights Reserved.